For a trouble-free move to Los Altos, Meathead Movers is the company for you! Our professionally trained student-athlete movers are ready to get you into your new Los Altos home. 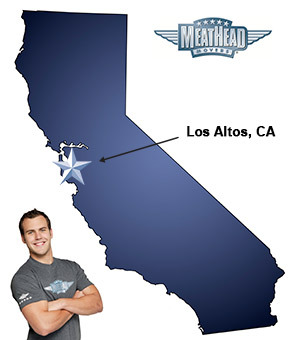 Welcome to Meathead Movers of Los Altos! If a move to Los Altos is in your future, we are the moving company for you! Our professionally trained student-athlete movers and our moving concierge service are here to help you with every stage of your move in Los Altos. Located in the heart of Silicon Valley, beautiful Los Altos is a residential community that is a welcoming place to live and work. Its strategic location makes it a great place for those commuting to San Jose for work. Despite being in the heart of busy Silicon Valley, Los Altos provides the perfect relaxed environment for families to enjoy. With seven shopping districts, the city offers a variety of shopping options for every taste. Downtown Los Altos is home to beautiful historic building, art galleries, tasty restaurants, and quaint boutiques, as well as a weekly farmer’s market from May to September. There are also plenty of beautiful parks in the area to explore, play, and relax in. Our moving company specializes in local, long-distance, and commercial moves to, from, and within Los Altos. We also provide reliable packing, storage, on-site relocations, and our distinctive moving concierge service, which connects you with local service providers. All our student-athlete movers are thoroughly screened and trained before their very first move. Our movers are trained to ensure you superior customer service and to show you our traditional Meathead Hustle. All our Meatheads jog when not carrying items to make your move fast and efficient. With branches not just moving in Los Altos, but all throughout California, we can help you with all your moving needs. In fact, you can see what your neighbors in Los Altos have to say about us. Contact us today for a free no-obligation moving quote and experience the Meathead Difference! With our 100% satisfaction guarantee, the only thing you have to lose is the stress that comes from moving! Moving to Los Altos? Here are some helpful resources. View more Los Altos resources. I would only choose another source if Meathead Movers did not provide the services I needed for my clients, such as expert piano moving. Courteous, hard workers. Did a great job.